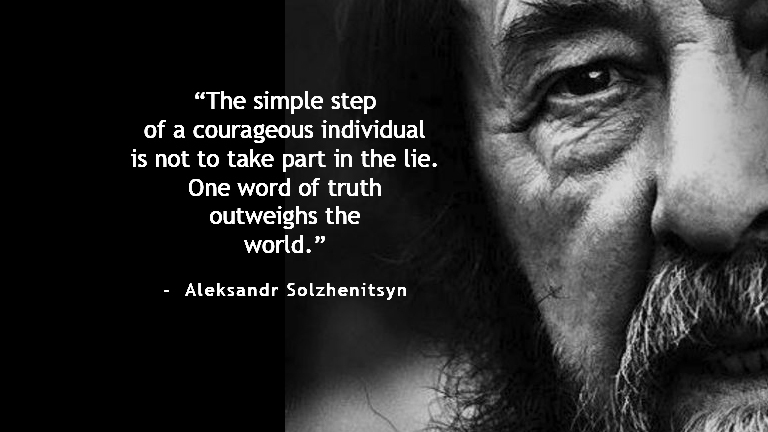 Screening of the documentary “One Word of Truth” based on Alexander Solzhenitsyn’s 1970 Nobel Prize Acceptance Speech. In 1970 Solzhenitsyn was awarded the Nobel Prize for Literature. The following year, before his expulsion from the Soviet Union, he wrote but was never able to deliver, his Nobel Lecture. It is widely acclaimed as one of the most significant statements of the century. The lecture was the first of his writings to be officially published in the Soviet Union (Novy Mir, July 1989) since the 1960’s. With music by Shostakovich, prison-camp sequences, works of art and historic newsreel footage, the film dramatises contemporary issues such as the differing scales of values in the world, the link between violence and lies, the relevance and power of art and literature, and the crucial role of the individual. The film will be presented by Patrick Colquhoun of Anglo-Nordic Productions Trust – a charity, which raised funds to create this film. The screening will be followed by AGM and Drinks Reception.